That’s all about Minecraft game! Since the release in 2009, Minecraft has soon become the phenomenon on the game market. Everyone knows or hears (at least once) about this build-and-survive game. Created and developed by a small group of three individuals – Markus Notch Persson, Carl Manneh and Jacob Porser, Minecraft has gained over 100 million users. According to Guide Gamer, in order to expand its popularity, Microsoft bought the popular indie game in 2014 with the price of $2.5 billion. Once starting the game, players will be standing on a randomly generated land having many different biomes (landscapes). All the living creatures there, both friendly and unfriendly, are called mobs. Since Minecraft is a 3D sandbox game, there’s no instruction, quest or goal specifically. You are the rule, players! Well, you have an infinitely open-ended world to exploration. Mine for resources and materials to craft needful item, and then build amazing structures or whatever you desire. Creative mode – The player can move around to explore mysterious landscapes such as forests, oceans and caves. Also, you can improve your building skill by generating any buildings you like with this mode. Survival mode – If you expect more thrilling, intense feeling in Minecraft, then this mode is the best option. The player will need to deal with nighttime monsters, hazardous terrain and even hunger. Many kids and teens are addicted Minecraft. Is it good or bad? Guide Gamer did a survey in which asking parents whether Minecraft is worth playing or not. And surprisingly, over 62% of parents encourage their children to enjoy this game. So, what do young people learn when playing Minecraft? Like Lego, Minecraft offers your child the vast space to build creativity as well as imagination. In this blocky world, obviously everything is in the shape of square blocks, from the ground, ocean, trees, to characters. These blocks are categorized into various materials like stone, wood, lava, and more. The ultimate purpose of Minecraft game, as per Guide Gamer, is to train your creative ability in crafting tools, items and building incredible structures. In a nutshell, your imagination is the key in Minecraft. Most parents have no idea that kids somehow can learn real-world skills via this creative sandbox game. While gathering resources for building, they become more patient. Greatly, Minecraft will train the children’s perseverance at the moment they make mistakes. Also, they can learn about teamwork like how to work cooperatively with other players over the world. Although Minecraft allows the player to enjoy offline, it does feature the multiplayer mode online. If you are afraid your kids may interact with strangers, set up servers used specifically for kids or families. 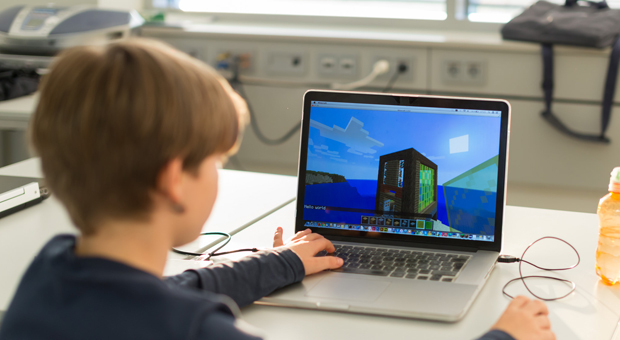 Interestingly, Minecraft game has been brought into classrooms as lecturers want to encourage students to think creatively in every aspect as well as to cooperate effectively when it comes to group projects. Finally, in 2016, the developer launched an education version of Minecraft called Minecraft Education Edition (MinecraftEDU), Guide Gamer says. March 9, 2018, No Comments on Cool Math Run 3 Review – How to Play & What is the best gaming laptop to play?